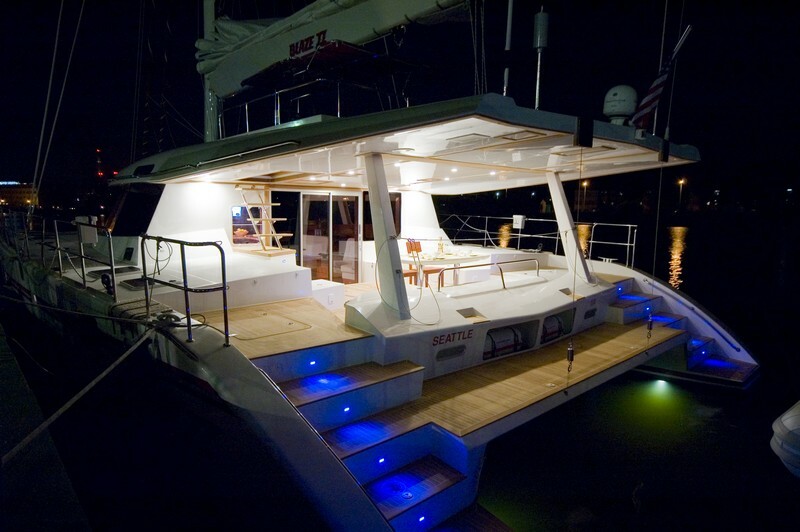 Luxury sailing catamaran BLAZE II is a Sunreef 62 charter yacht built in 2007. Yacht BLAZE II, launched by the Gdańsk-based Sunreef Yachts shipyard is classical in her design and features first-rate construction. 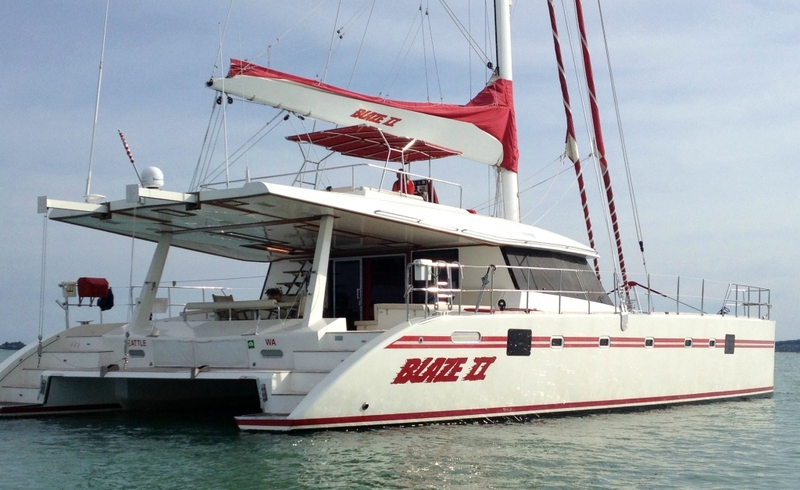 The BLAZE II catamaran is able to accommodate up to 8 guests and is available for luxury yacht charters in Thailand, Phuket and South East Asia. 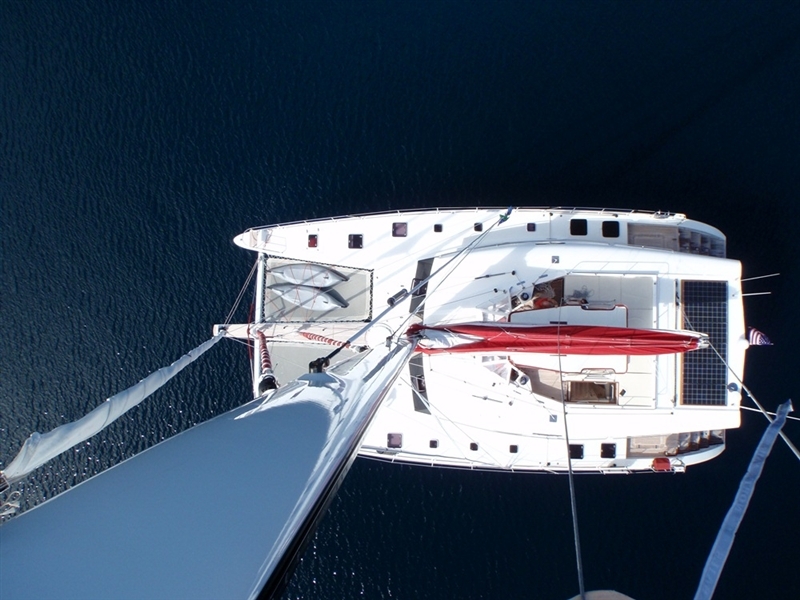 The semi-custom sailing catamaran BLAZE II has a streamlined hull, remarkable flybridge with high-tech external helm, show-stopping design with great attention to detail, representing the features endemic to the Sunreef brand. 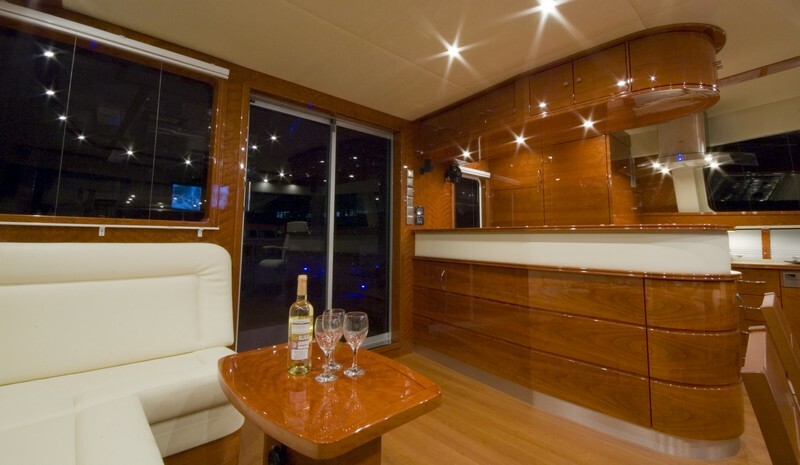 BLAZE II’s chic interior is tastefully and luxuriously fitted with veneered American Cherry wood and the saloon and galley area is equipped with first class appliances. 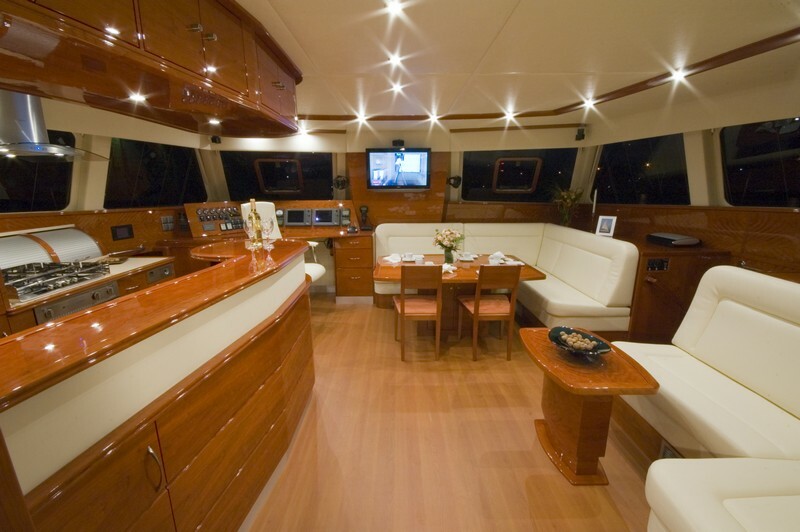 The simplicity and elegance of the interior is enhanced through plush cream leather upholstery and designer details. 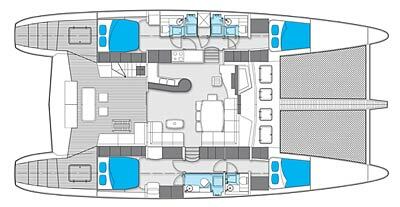 Charter yacht BLAZE II is able to accommodate up to 8 charter guests in 4 double ensuite cabins located below deck. 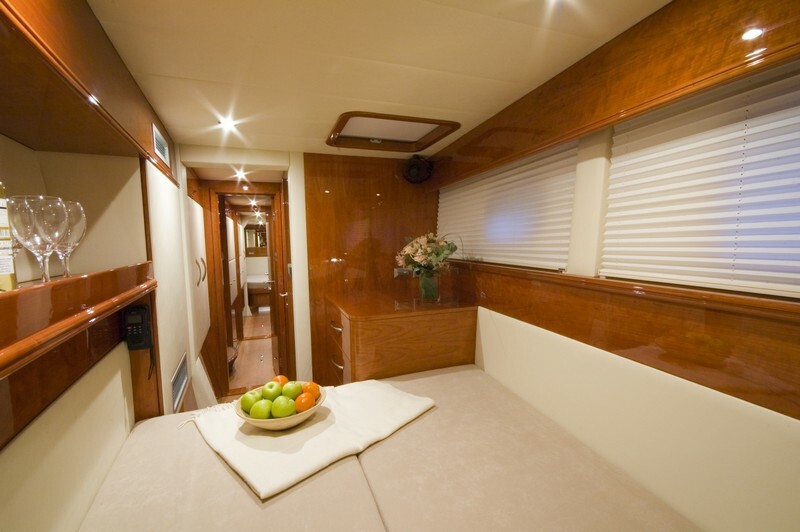 The master cabin boasts a comfortable king-size bed and the remaining cabins each has a double bed making the yacht a wonderful choice for groups of friends chartering together. 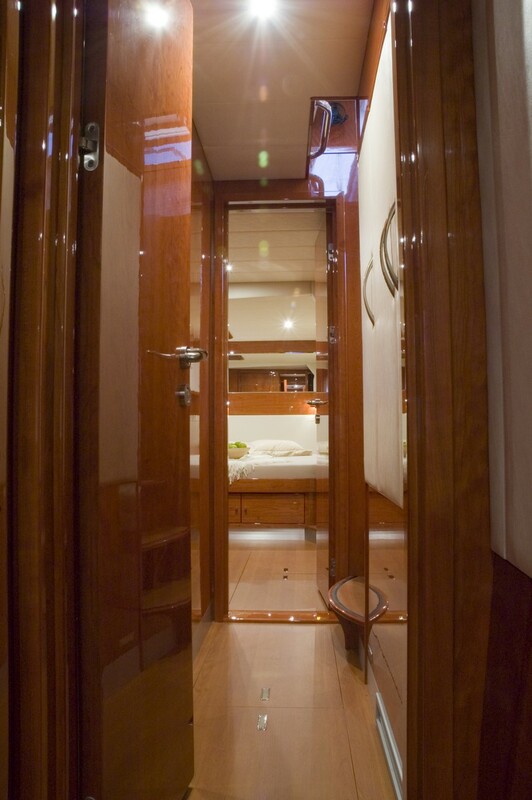 Each cabin features a private bathroom with separate shower. 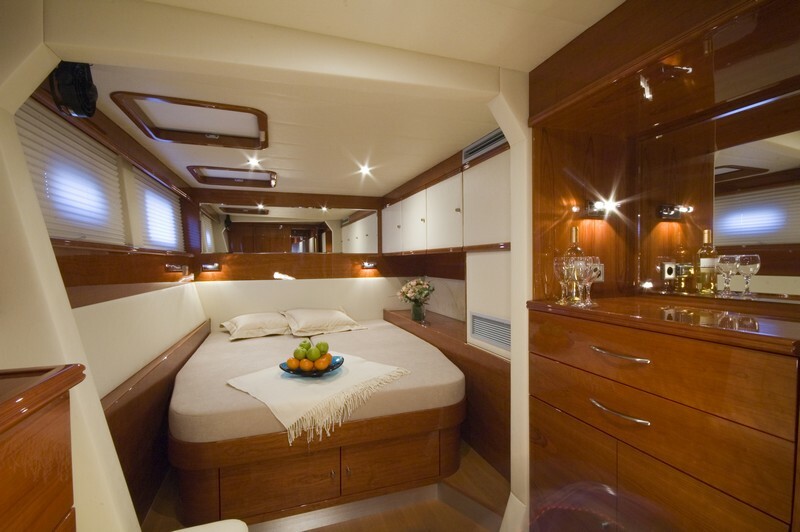 S/Y BLAZE II has a sprawling teak-sole cockpit with a large ivory alfresco dining table offering guests an instant warm welcome before they enter the yacht through a stained-glass sliding door. The fly bridge provides a great setting for enjoying the views while sipping a cocktail or dining al fresco. 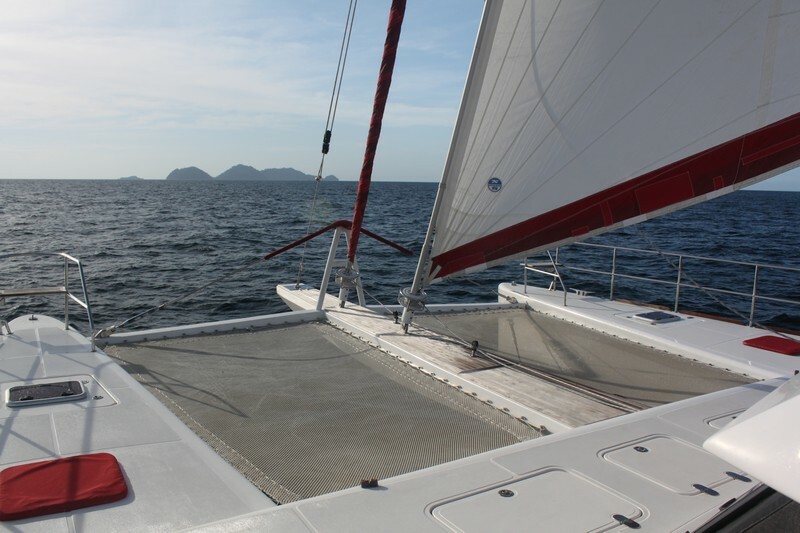 Further forward there are trampolines for sunbathing or watching the water rush by while under sail. 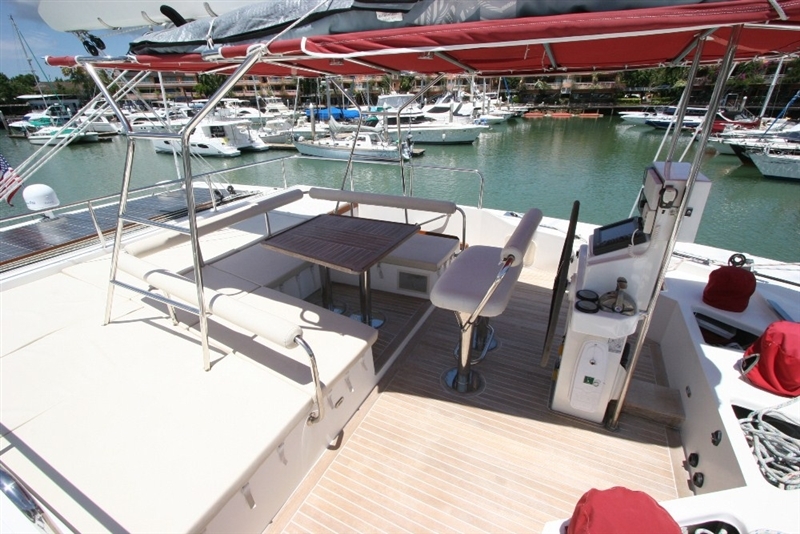 Luxury charter sailing catamaran BLAZE II is perfectly equipped for entertainment and water sports fun with a widescreen LCD TV with Bose home cinema and DVD player while the water toy options includes a RIB dinghy with 50 hp outboard engine, a 14’ Zodiac dinghy with 25 hp outboard, two kayaks and two paddle boards. 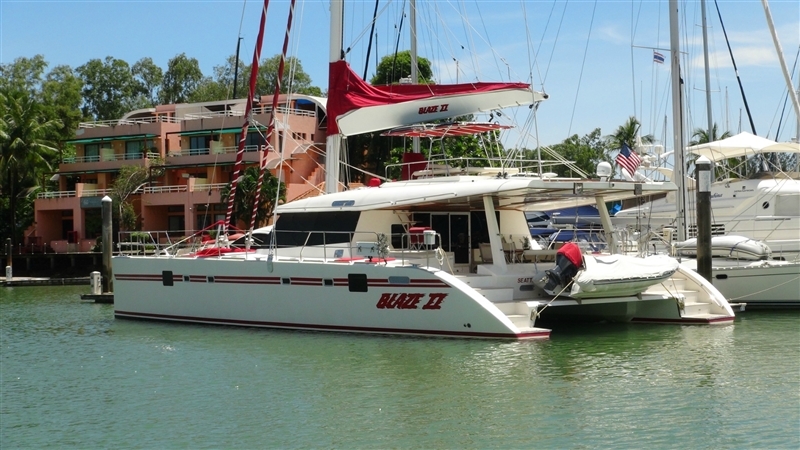 Cat BLAZE II is based in South East Asia, enabling charter guests to visit such remote ad exotic locations as Indonesia, Malaysia or Thailand in the winter. 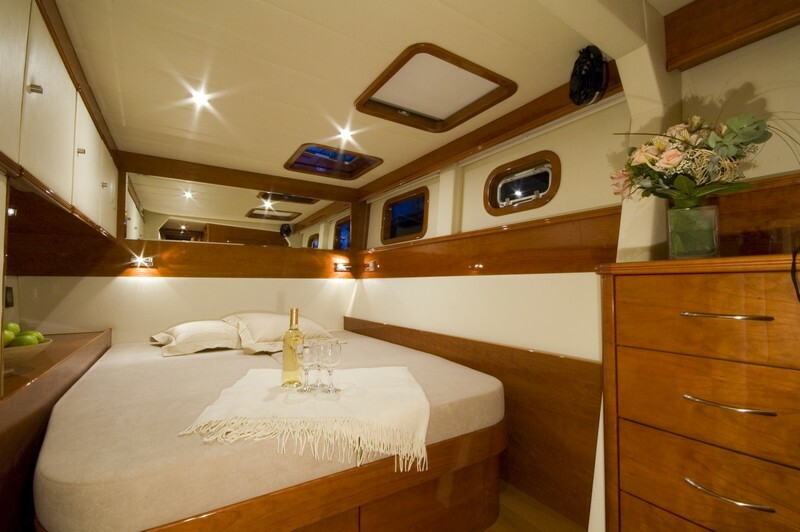 BLAZE II’s professional crew of 2 will pamper you in luxury, show you the ropes of sailing, accommodate any special dietary requirements or suggest the best local spots for unwinding. 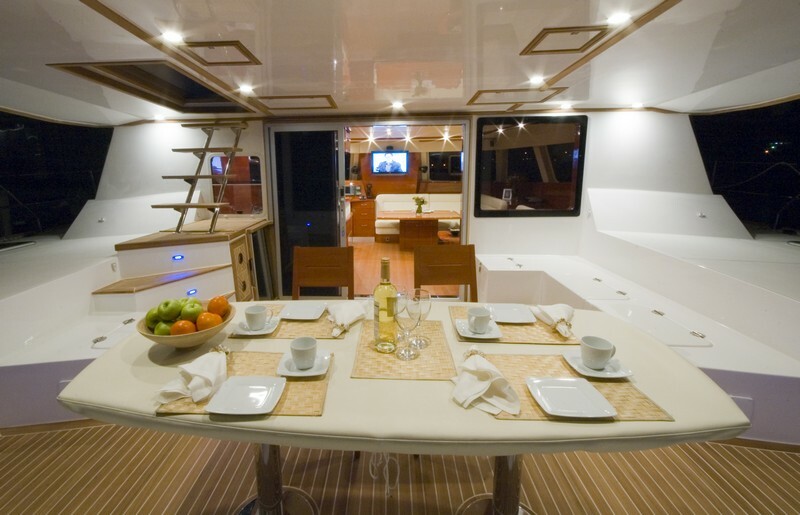 The BLAZE II catamaran can accommodate up to 8 charter guests in 4 double ensuite cabins located below deck. 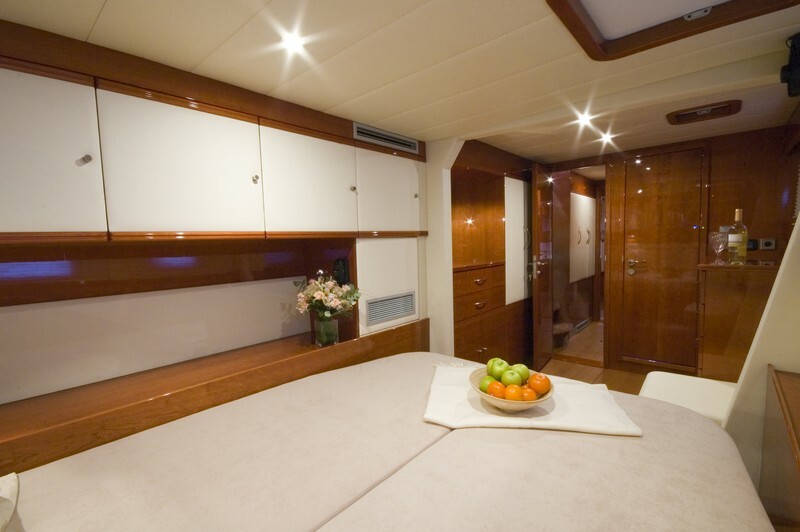 The master cabin boasts a comfortable king-size bed and the remaining cabins have a double bed. 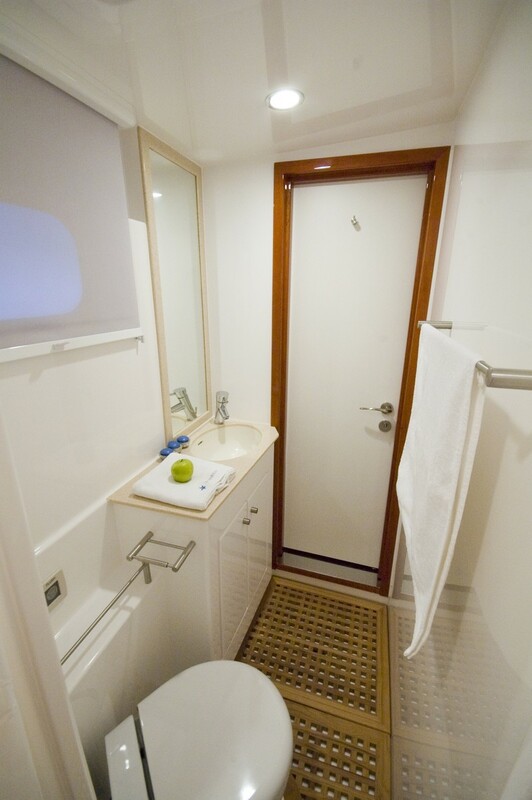 Each cabin features a private bathroom with separate shower. BLAZE II has a 14' 6"Avon RIB-type dinghy and 50 HP outboard, 14' Zodic dinghy and 25 HP outboard, Two kayaks, Two paddle boards, Electric diving compressor Bauer Junior II.